Valentine's Jewelry Looks for Less! Many people don't always think of Walmart when they think of Valentine's Jewelry gifts, and I understand that. In fact, I haven't shopped there for jewelry in a while, but I always stop by the jewelry counter to browse. This year, I knew that I needed a few pieces to complete the look of some outfits I had purchased, and I LOVE turquoise. 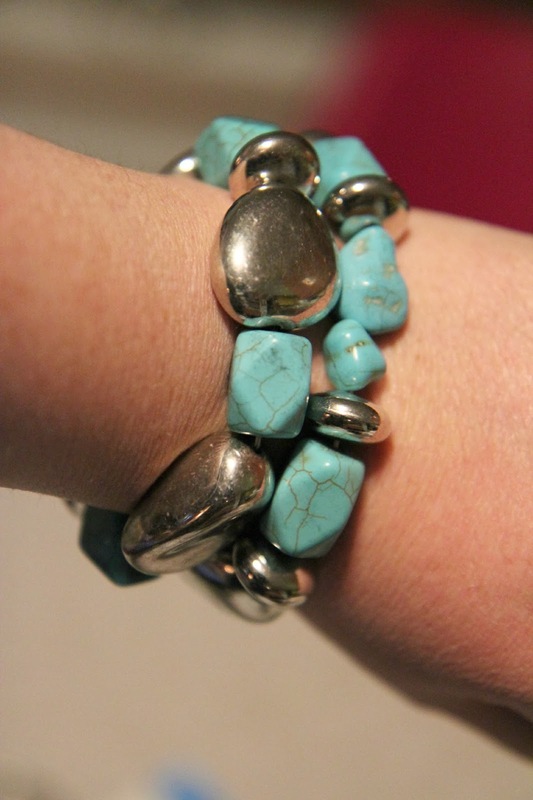 I got the idea to "gift" myself a set of affordable pieces that resemble turquoise, but for under $30! Since I was in need of a timepiece that wasn't totally worn out, I started with a watch. 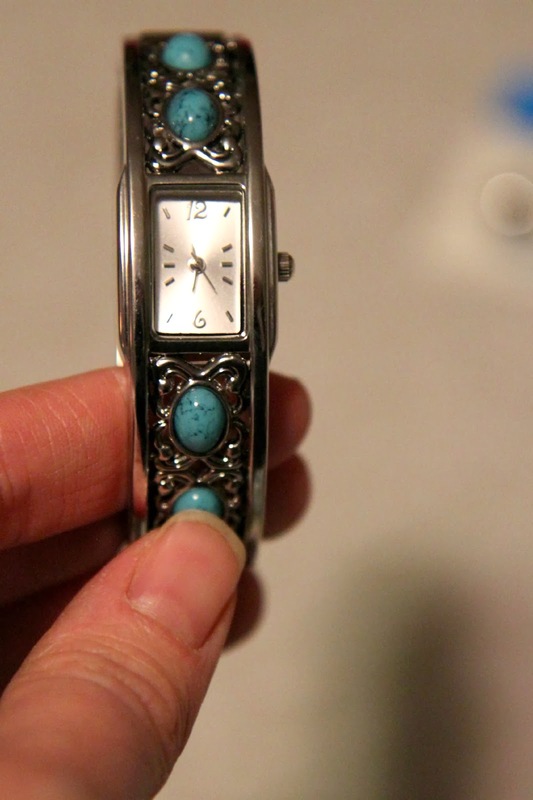 This watch has a hinged clasp so that you can take it on and off easily. I love how it looks like silver, and the fit is comfy on my wrist. My Walmart had it for under $15. 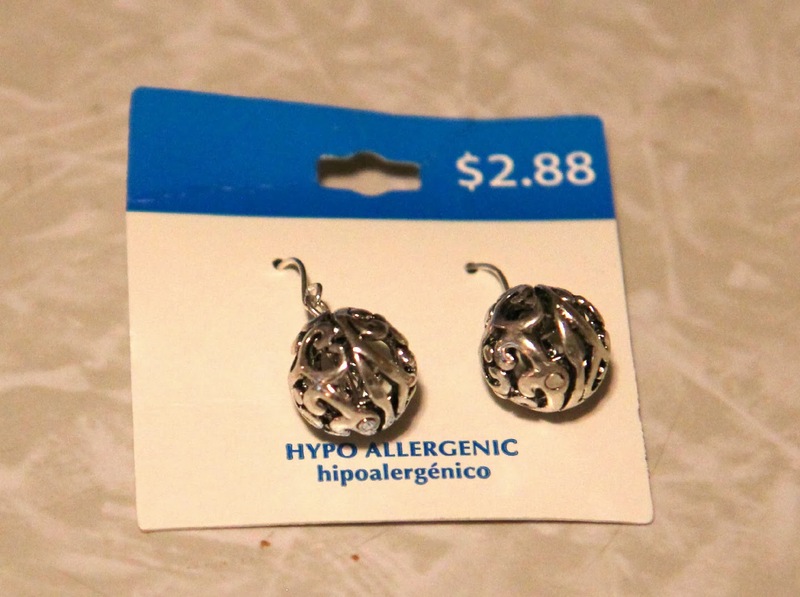 Next, I picked out a pair of $2.88 earrings. They are hypo-allergenic (the only kind I can wear) and very lightweight. These are a good choice for those who can't wear earrings for a very long time. Buying a more affordable piece of jewelry can work as part of a set. If you aren't sure about what looks your sweetheart will like, ask her what her favorite gemstones are and go from there. There are dozens of choices inspired by more expensive looks that can really show your loved one that you care. 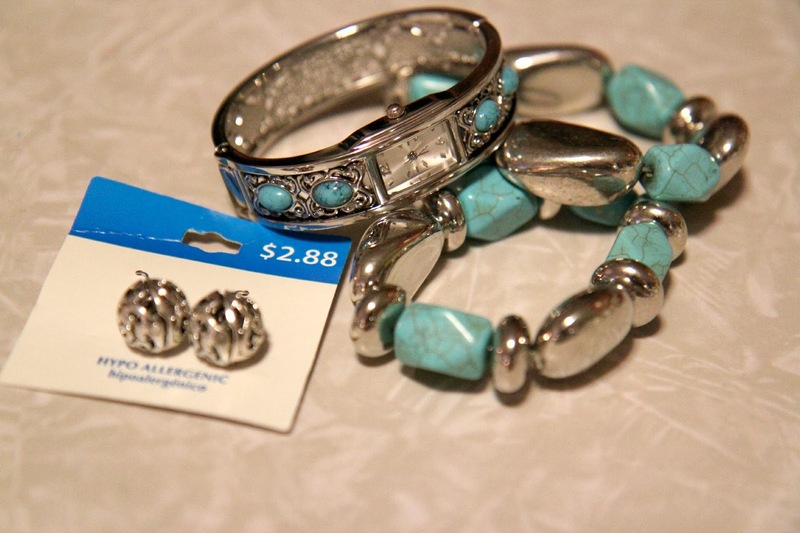 You still have time to find something for your special someone in the jewelry section at Walmart and on Walmart.com!